At his visit to the University of Pretoria in South Africa, David Burdette, Professor and CBIL member at NLS, presented a lecture to LLM Corporate Insolvency students and co-facilitated a research workshop in the field of corporate rescue. David Burdette, Professor of Insolvency Law in the Centre for Business and Insolvency Law at the Nottingham Law School, was in South Africa recently. In his capacity as Extraordinary Professor at the Department of Mercantile Law, Faculty of Law, University of Pretoria, he was invited to present a lecture on the LLM in Corporate Insolvency on 15 October 2015, which was on the topic of International Perspectives on Corporate Rescue Procedures. Professor Burdette was able to share some of his experience as a Consultant with the World Bank, reviewing insolvency law reform proposals. 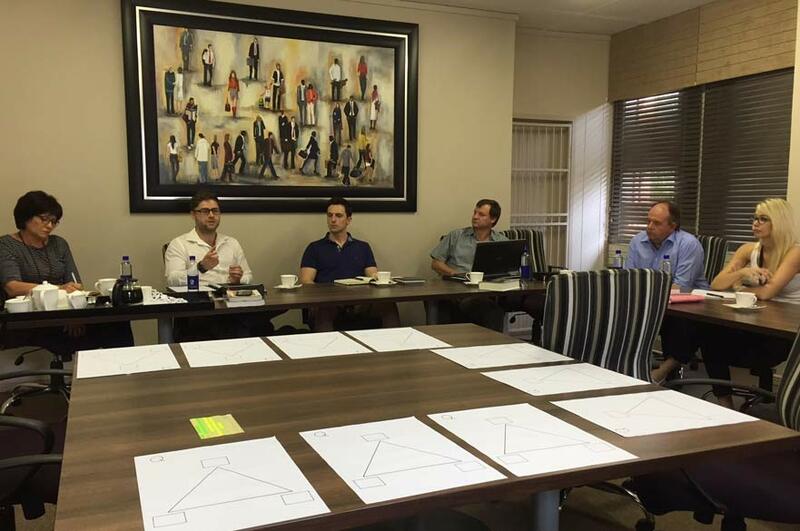 While visiting the University of Pretoria, Professor Burdette also co-facilitated a workshop on 16 October 2015 with Professor Marius Pretorius from the Faculty of Economic and Management Sciences. The purpose of the workshop was to gather together a number of young researchers with a view to identifying inter-disciplinary projects and research topics in the field of corporate rescue. In particular, the idea behind the event was to provide researchers at an early stage of development with a platform for their research as well as opportunities to showcase their research. The workshop explored possible international collaboration projects with the aim of attracting appropriate funding. In all, 8 young researchers attended, including those at various stages of their doctoral studies as well as some post-completion students in fields such as economics, management sciences and law. Participants thought the workshop very useful, especially with positive plans for taking the initiative forward having been made. The Centre for Business and Insolvency Law, which has gained a reputation worldwide for the promotion of research and teaching in insolvency, is pleased with these initiatives to reach out to researchers in Africa. This demonstrates the breadth and depth of the centre's commitment to foster critical thinking in insolvency and business matters, particularly among younger scholars, both at domestic and international levels.